Marketing an orthodontic practice isn’t cheap, and you want to know that you are making a good return on your investment. Yet that’s often easier said than done: how can you be sure that your orthodontic marketing is translating into actual profits? Tracking the impact of your marketing is a necessary part of running a successful business. Here are 3 tips to help you get the most out of your orthodontic marketing. Call tracking – Use call tracking paired with your direct mail postcard campaign to track exactly how many people respond to your postcards. Use different phone numbers for different campaigns, so you don’t have any overlap. Discount codes – If you are offering a discount as part of a marketing campaign, make sure you have a trackable discount code. You can use discount codes with newsletters, emails, postcards, Facebook posts, etc. Landing pages – Many of your patients will find you through a search engine. The page they land on is called a “landing page,” and you can easily track the way they interact with that page. Track things like click-through-rates, time spent on page, newsletter subscriptions, whether they filled out a contact form, downloaded a document, etc. 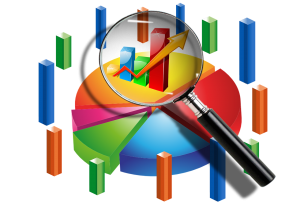 Web analytics – Your website likely has many elements to it (home page, about us page, services, contact page, schedule-an-appointment page, etc.). Make sure your website is performing well by using a form of analytics tracking. Google Analytics, for example, can give you great insights into how your website is performing as a marketing tool. The cost of acquiring a single patient is essentially a math equation: take marketing costs and divide it by the number of new patients over a certain time period. You should also figure out the cost of retaining patients: take the cost of your remarketing campaigns and divide it by the number of customers who reschedule a visit. Once you’ve determined your current costs of acquiring and retaining your patients, then you can use it as a baseline to set goals moving forward. If you’re not seeing improvements over time, then you’ll know that your marketing efforts aren’t giving you the results you want, and you can make adjustments. Armed with the most meaningful metrics, costs of acquiring and retaining patients, and patient feedback, you’ll be able to analyze and reassess your marketing campaigns. You’ll be able to invest in the areas that are giving you the most bang for your buck, and make corrections and adjustments to the strategies that aren’t giving you a good ROI.